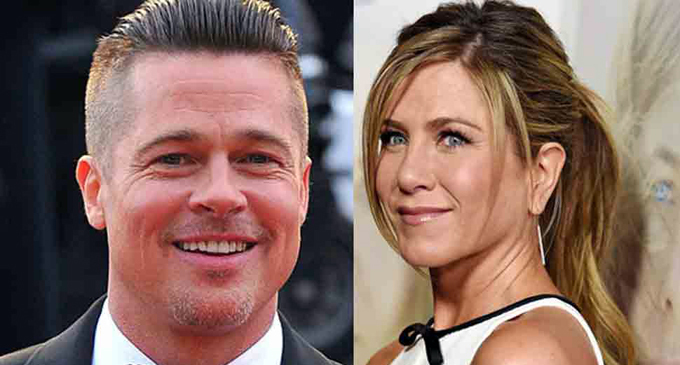 (FASTNEWS|COLOMBO) – Actor Brad Pitt stood outside a hotel where his former wife Jennifer Aniston was celebrating her 50th birthday party. Aniston had a celebration on Saturday (09) for her birthday, which falls on Monday (11). Pitt was spotted outside the party, people.com reported. The 55-year-old “War Machine” star made a casual entrance at the hotel, with his long hair slicked back underneath a cap. Party guests included Pitt’s ex Gwyneth Paltrow, plus Aniston’s ex John Mayer and his ex Katy Perry, who was joined by beau Orlando Bloom. George and Amal Clooney, Reese Witherspoon, Ellen DeGeneres, Kate Hudson, Demi Moore, and Jennifer Meyer also attended the party, the source said.